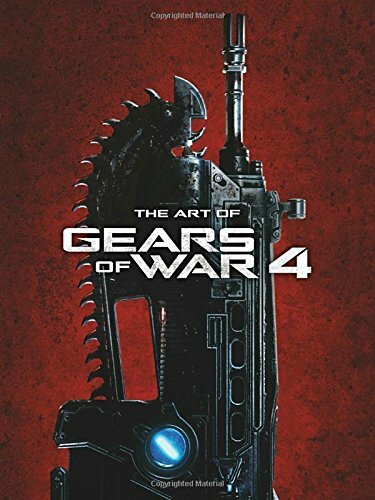 The artbook for GOW3 was published by Ballistic Publishing but The Art of Gears of War 4 is published by Dark Horse. This hardcover artbook is thinner compared to the previous book but it is still quite thick with 184 pages. The concept art featured are mostly textured mapped 3D renders, in other words very similar to what you would see in game. Regardless of the style, the artworks are still incredibly detailed. You can see strands of hair or pores on the characters. That kind of detail. The character design iterations look like costume options in game. I love looking at the environment art. Clearly a lot of effort is spent to design and model every little element in each scene. Art for multiplayer maps are also included but printed much smaller compared to the main locations. Other artworks include the weapons, props, vehicles, creatures and marketing art. There's brief commentary on every page talking about the design. Overall, it's a decent video game art companion. There are lots of artworks with amazing details to check out. I would have preferred more painted or hand drawn art though.